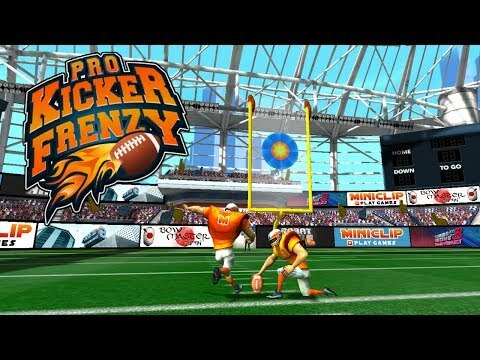 You need to install the Unity Web Player to play Pro Kicker Frenzy. Download the Flash Player now. Show off your kicking skills in Pro Kicker Frenzy as you kick a series of field goals for big points. Aim carefully and score combos to earn extra points. Watch out for the linebackers and don't forget to pay attention to the wind! Start at the college level and then join the pros as you prove your skills. Can you get a perfect score? Note: Complete each mode with the minimum number of points - without losing all of your balls - to unlock the next mode. If you lose all 3 balls, you'll have to try again! When you're ready for a new challenge, try a different mode! In Time Attack every successful shot adds a few extra seconds to the clock, but in Survival mode a single mistake ends the round. Ready for some football? Get kicking!